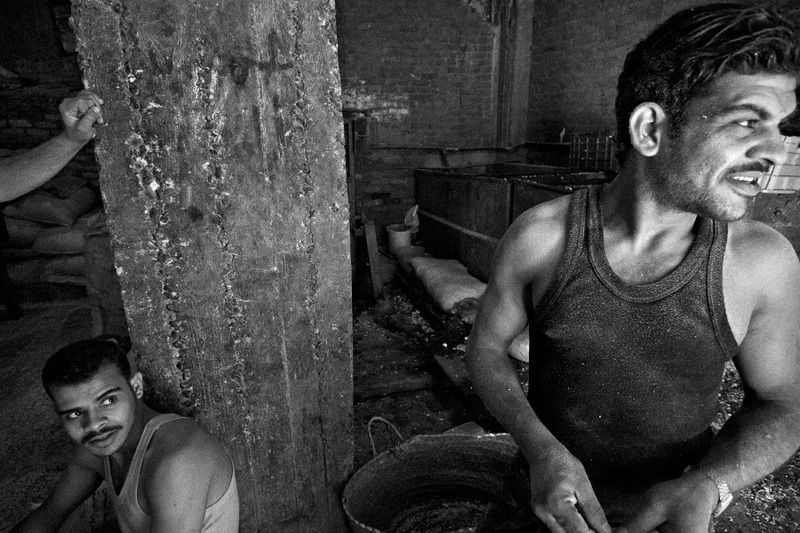 In Egyptian Arabic, Zabbaleen means “garbage people”, or those who make a living from processing waste. 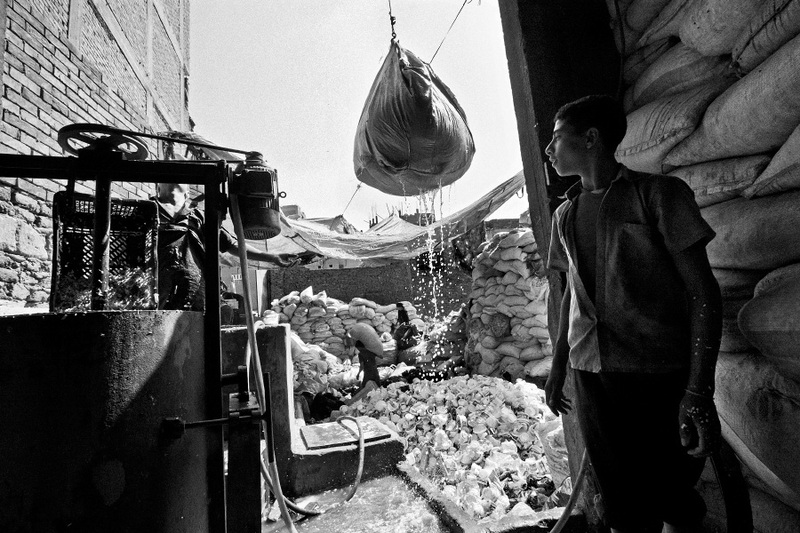 In Cairo, for more than seventy years, the Zabbaleen have provided the main way for collecting and disposing the city’s waste. 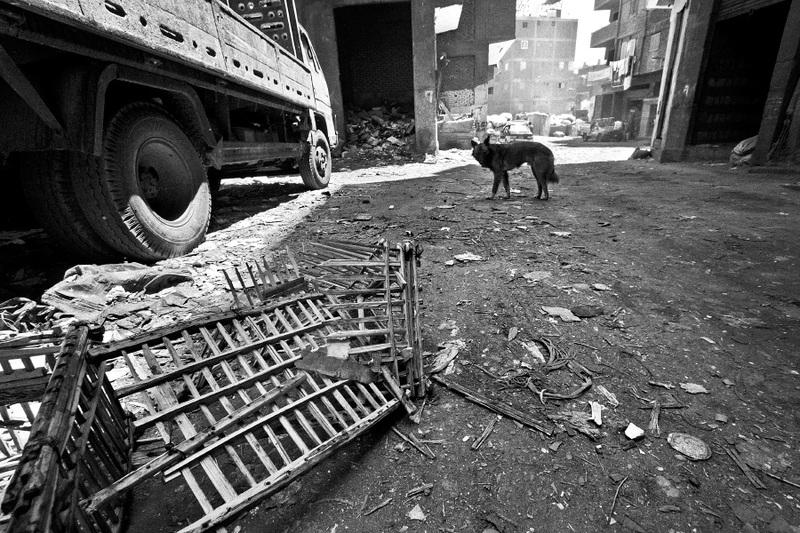 Even today, many of Cairo’s 19 million inhabitants rely on this informal, door-to-door method of waste management. 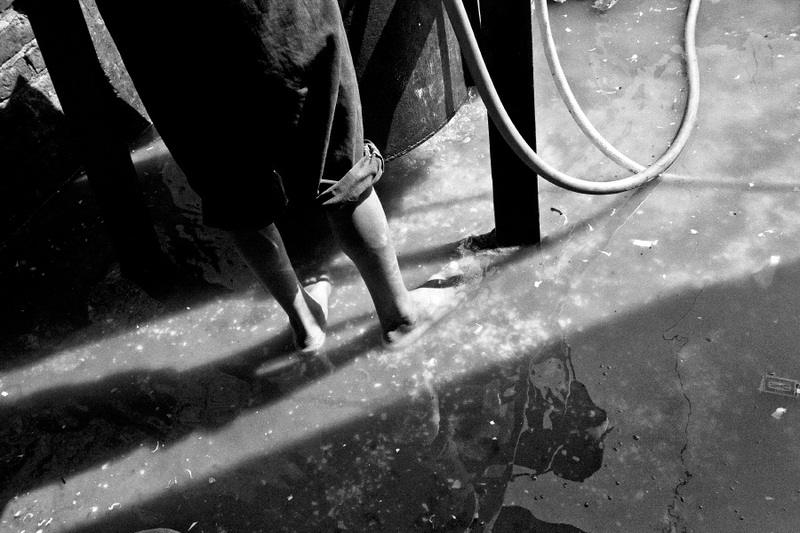 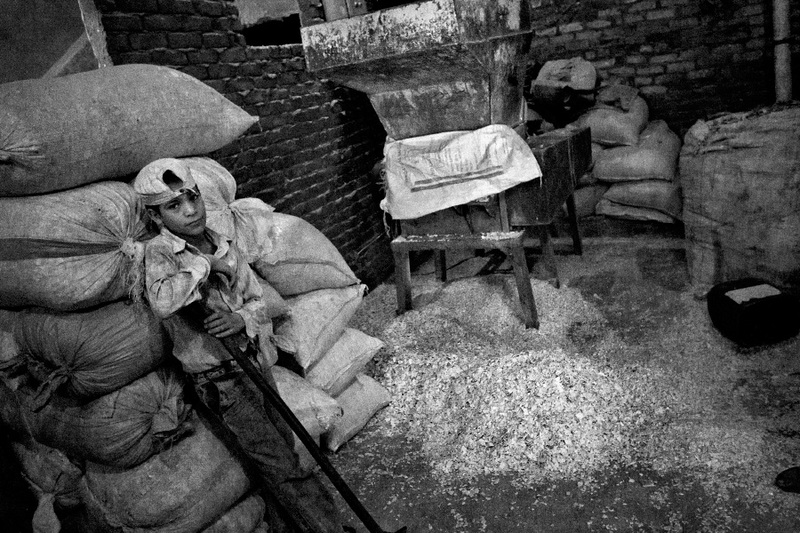 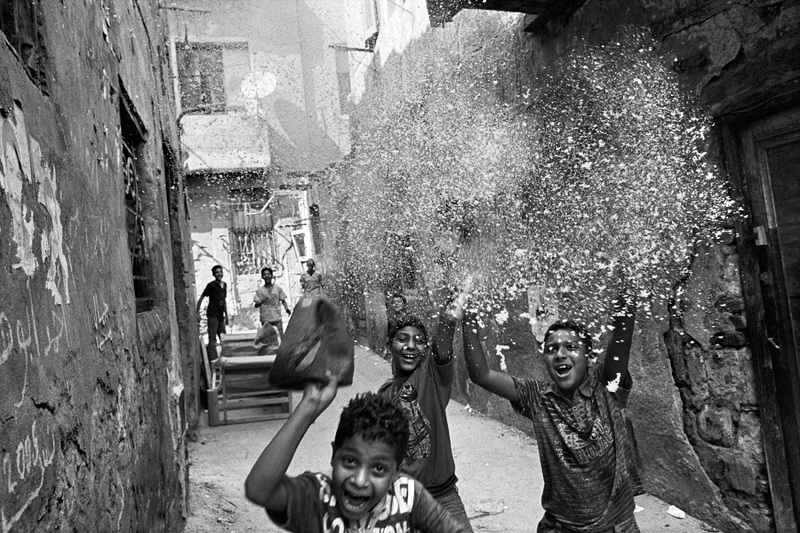 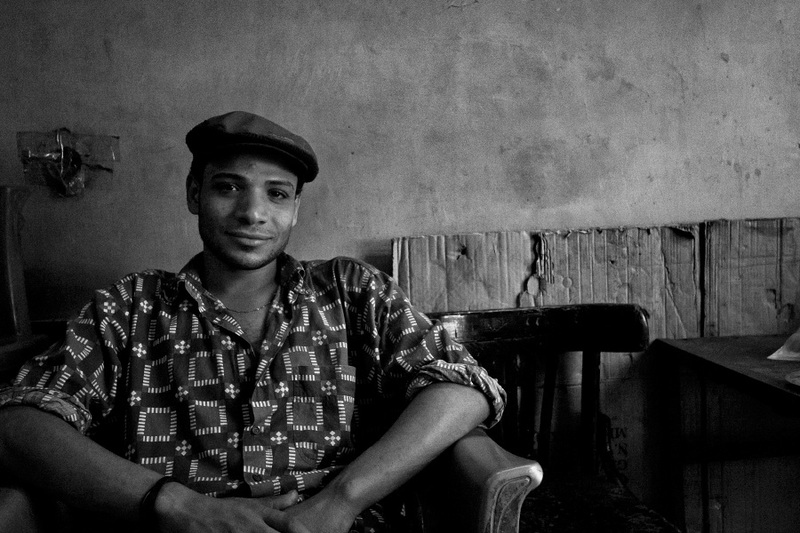 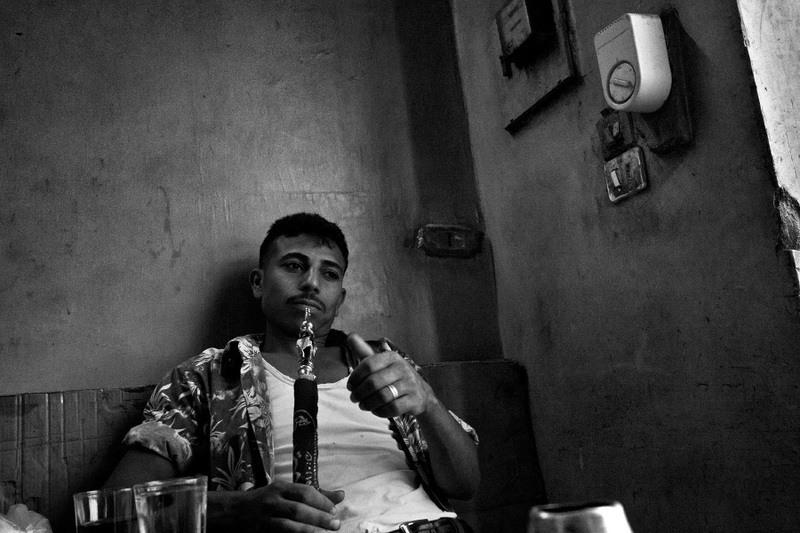 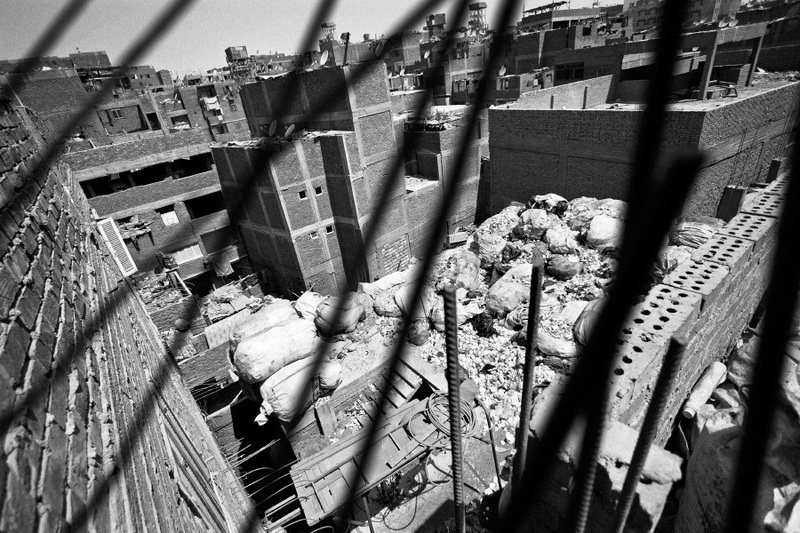 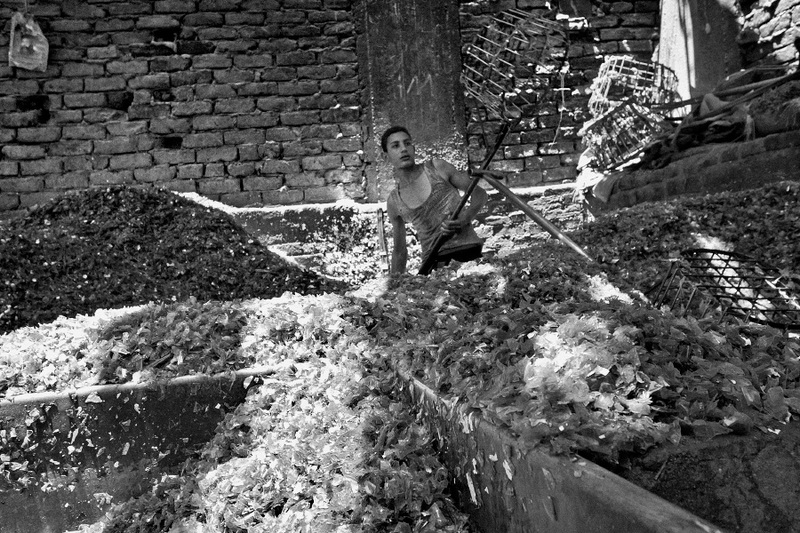 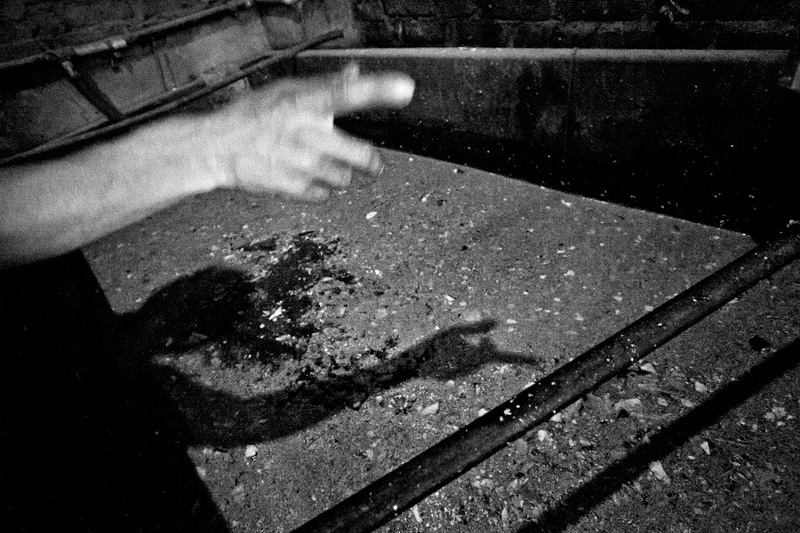 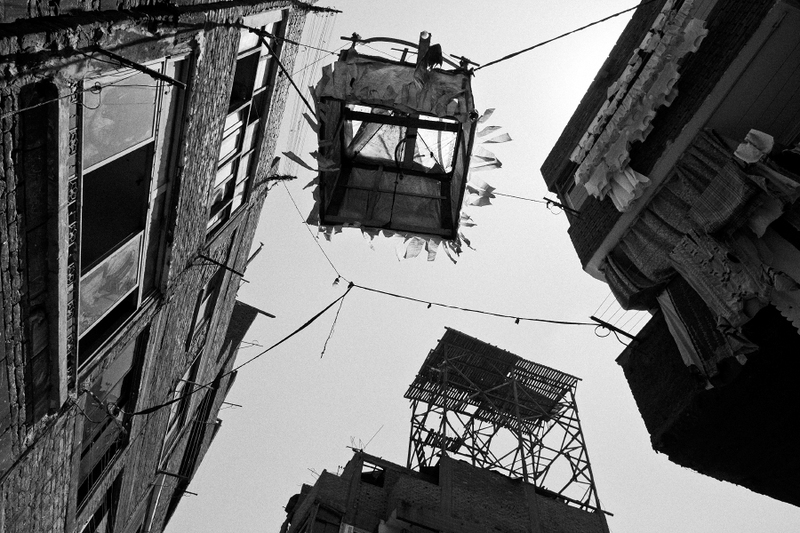 These photographs were taken in Moqattam village, Cairo’s largest “garbage city”. 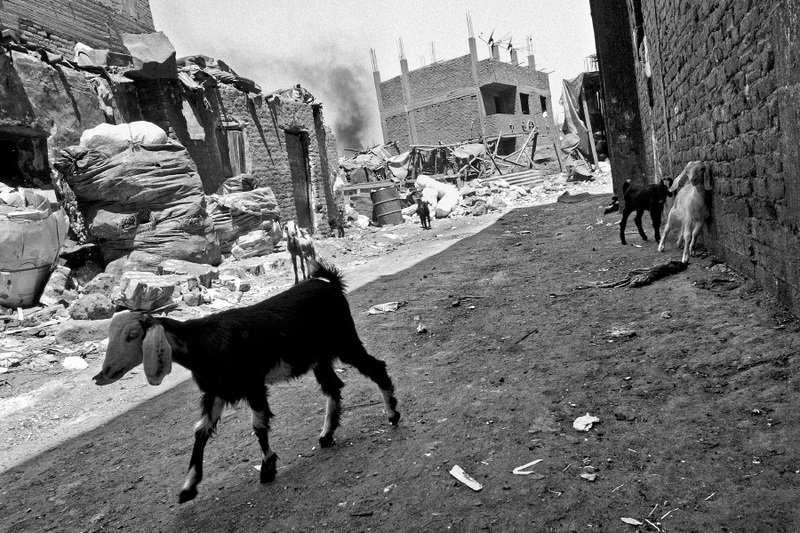 Moqattam is a 30,000 strong community of mostly Coptic Christians who live on the outskirts of the city in extreme poverty. 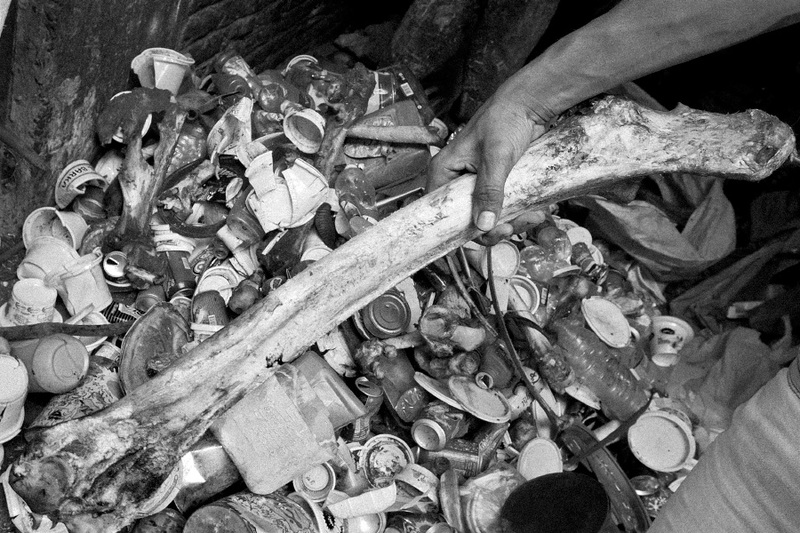 Their largely unfinished houses serve as both garbage sorting dumps and residences. 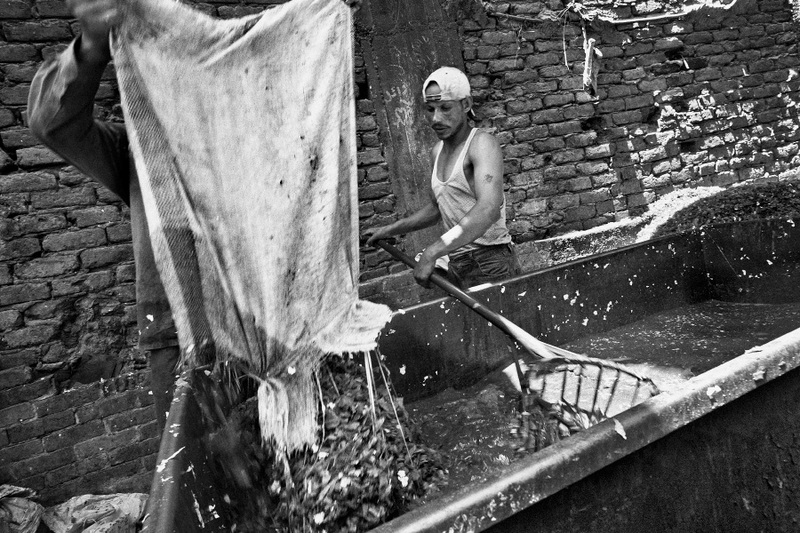 During the last two decades, the Zabbaleen have developed a very efficient sorting and recycling system that enables them to sell most of the production to middlemen in order to create new materials. 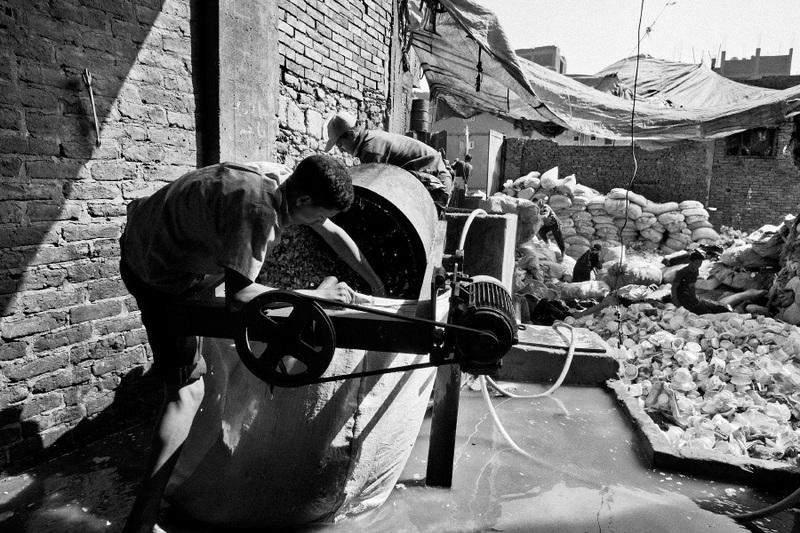 All current efforts to formalize Cairo’s waste disposal service assign a significant role to the Zabbaleen.